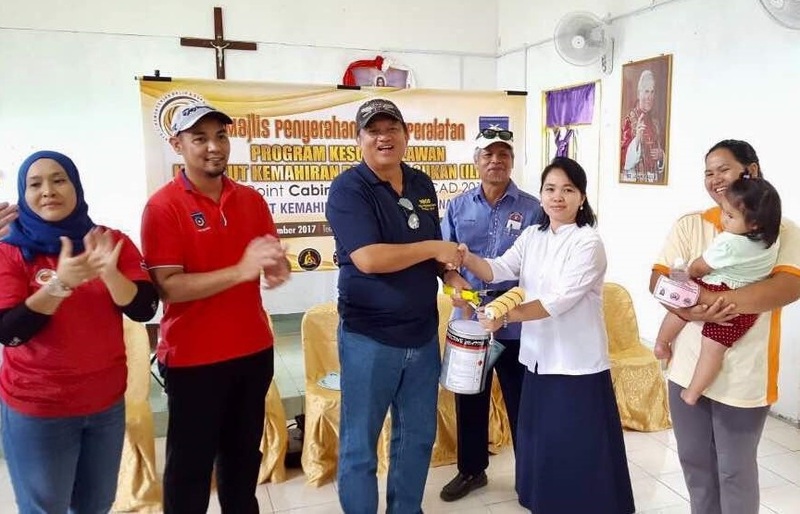 Joniston presenting a bucket of paint, brush and roller to Rosenani Kiting, the cathechist at St Paul’s Chapel, to symbolise IKBN Kinarut’s contribution witnessed by Suhaidi, second left, Fatimah, left, Dunsim third right, and Linda Amin, right. 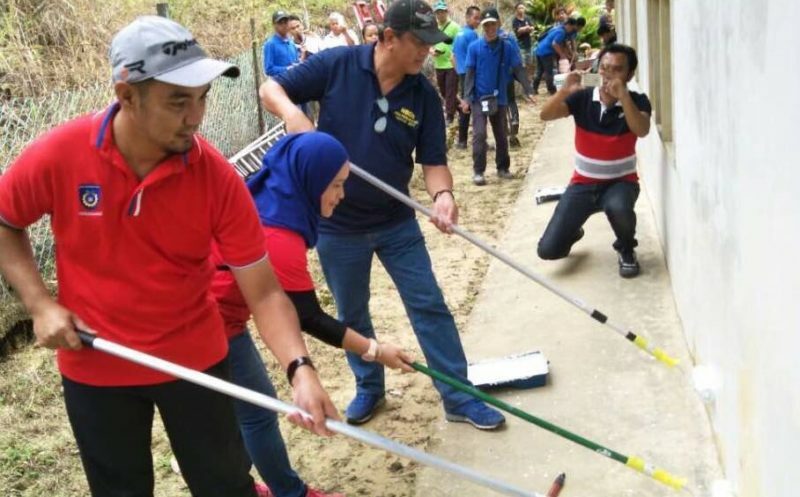 KIULU: It was a true display of the existing high level of religious tolerance in Sabah, when several Muslim academic staff and trainees of the Kinarut Youth Skills Training Institute (IKBN) took part in a gotong royong to give the St Paul’s Chapel at Kg Sinalapak here a facelift. Also joining in the gotong royong officiated by Joniston Bangkuai, the Kiulu Assemblyman was Suhaidi Mustar, IKBN Kinarut’s deputy director, Fatimah Abdul Rahman, its assistant director for student affairs, Rosenani Kiting, the Chapel’s Cathecist and Dunsim Gimbatu, the village head. 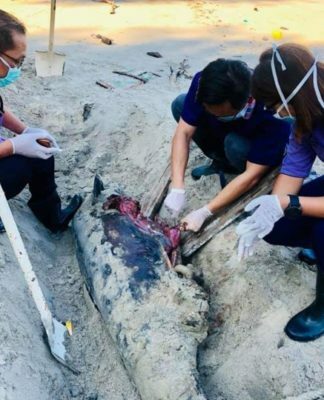 “It is really heartening to see them (Muslim trainees and officials of Kinarut IKBN) taking part in the gotong royong,” Joniston said. Joniston, right, Suhaidi and Fatimah working on the new coat of paint at St Paul’s Chapel at Kg Sinalapak. 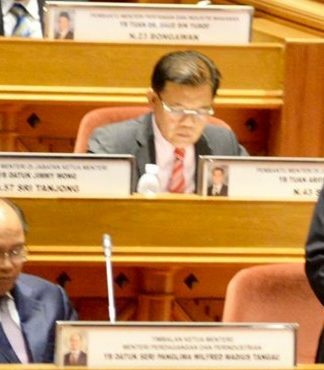 Their noble deed, added Joniston, is very meaningful at a time when certain quarters have been claiming that religious freedom in Sabah is under threat. 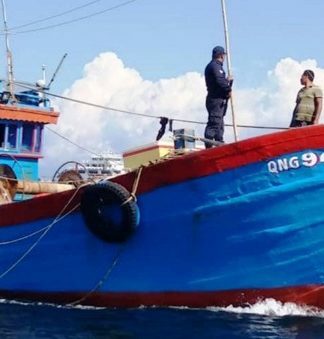 Jointly organised by the Kinarut IKBN and Sinalapak’s Village Development and Security Committee (JKKK), the collaboration was carried out under the ‘Cabinet Away Day Touch Point initiative’. Besides sprucing up the Chapel with a new coat of paint ahead of Christmas, the trainees also installed new fans complete with wiring, as well as putting up a new roof along its corridor. “We are really thankful to IKBN Kinarut for choosing our Chapel for their Cabinet Away Day Touch Point programme,” said Rosenani, adding that it is really refreshing to see non-Christians joining in the gotong royong.